When it comes to the common cold, there are probably more myths and misconceptions than there are kinds of cold medicine at the pharmacy. The idea that cold weather causes the common cold might be an old wives’ tale, but don’t ditch your coat just yet — a new study has shown that cold viruses actually thrive in cooler temperatures. Cold weather alone isn’t how you catch a cold, but a cold nose could increase your chances of becoming sick, the study suggests. The only sure way to catch a cold is from exposure to one of over 200 common cold viruses, most of which are rhinoviruses. But not all exposures lead to infections; often our immune systems manage to thwart these viruses before they can make us sick. To explain why the common cold is more prevalent in the colder months, the Yale scientists wanted figure out why rhinoviruses replicate more efficiently inside cool nostrils than they do in warmer parts of the body, such as the lungs. The researchers tested several strains of rhinoviruses in mice to study how temperature affects a virus’s ability to reproduce and spread infection. But rather than focusing on the viruses themselves, as previous studies have done, this study also examined how temperature affects the immune system’s ability to fight the pathogens. Specifically, the scientists wanted to compare the viruses’ abilities to spread at the human body’s core temperature, 98.6°F, and the temperature inside a human nose, which is between 91°F and 95°F. Just as they suspected, the researchers found that cold viruses thrive much better at lower temperatures inside the nose. But the temperature’s effect on the viruses isn’t the only reason that rhinoviruses thrive inside our noses. When temperatures drop, so does the nose’s ability to fight off infections. 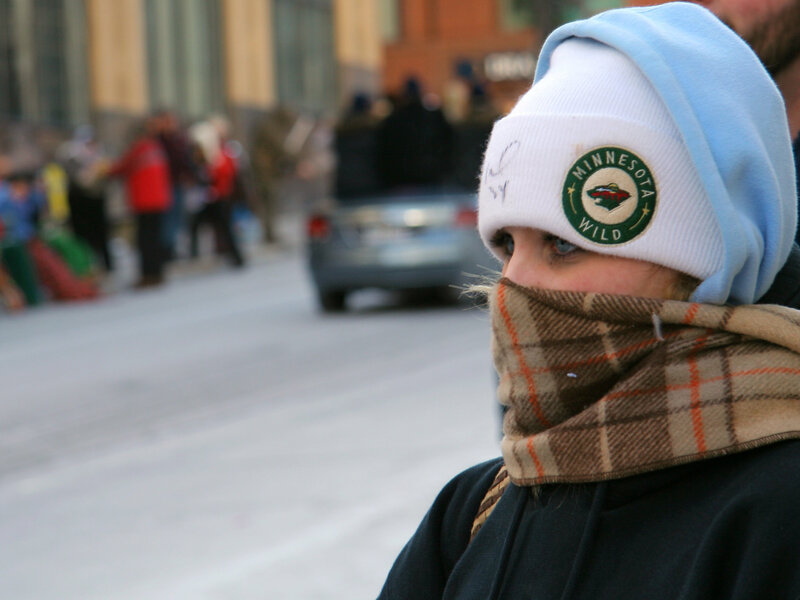 While previous studies have suggested that cold weather might actually boost our body’s immune systems, this new finding seems to contradict that assertion. Rather, the Yale scientists believe that colder temperatures suppress only the nose’s localized immune response and not the immune system in its entirety. So while the rest of your body might be ready to battle potential contagions in cooler weather, your cold nose actually provides a convenient breeding ground for any rhinoviruses that come along. One of the Yale researchers told the BBC that these results could explain why colds affect our noses more than anything else. Sniffling, sneezing and congestion come with almost every cold, but less often does a cold virus lead to a lung infection, she said, because warmer conditions inside our lungs make it more difficult for those viruses to multiply. While the study shows a correlation between cold temperatures and more vulnerable noses, the results doesn’t necessarily prove that keeping your nose warm will keep you from getting sick. But covering your nose in winter weather is never a bad idea — even if all it does is block the wind, your face will thank you. People cannot cover the nose in winter weather for avoiding getting cold forever, so we should try to improve our own immunity. I saw a service called Immune Repertoire Sequencing Services which can sequence the expressed T- and B-cell receptor genes in the immune repertoire, allowing people to know their health status and risks for different diseases. If you want to know more about it, I know the website: http://www.cd-genomics.com/Immune-Repertoire-Sequencing.html. Good luck! I think it is right.So we need to keep our nose warm to get rid of virus in winter. And more attention should be paid to fight virus and research Viral Antigens. Visit http://www.creative-diagnostics.com/Viral-Antigens.htm to know more. Could the virus also remain stagnant in the throat, waiting to be triggered by the cold or other people’s colds? or even a slight drop in temperature?